PennsylvAsia: "It’s Greek to me! A Fascination with the Idea of Greece in the making of modern Japan" at Pitt, February 21. "It’s Greek to me! 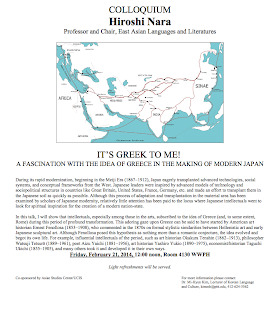 A Fascination with the Idea of Greece in the making of modern Japan" at Pitt, February 21. Dr. Hiroshi Nara of the Department of East Asian Languages & Literatures at the University of Pittsburgh will present "It’s Greek to me! 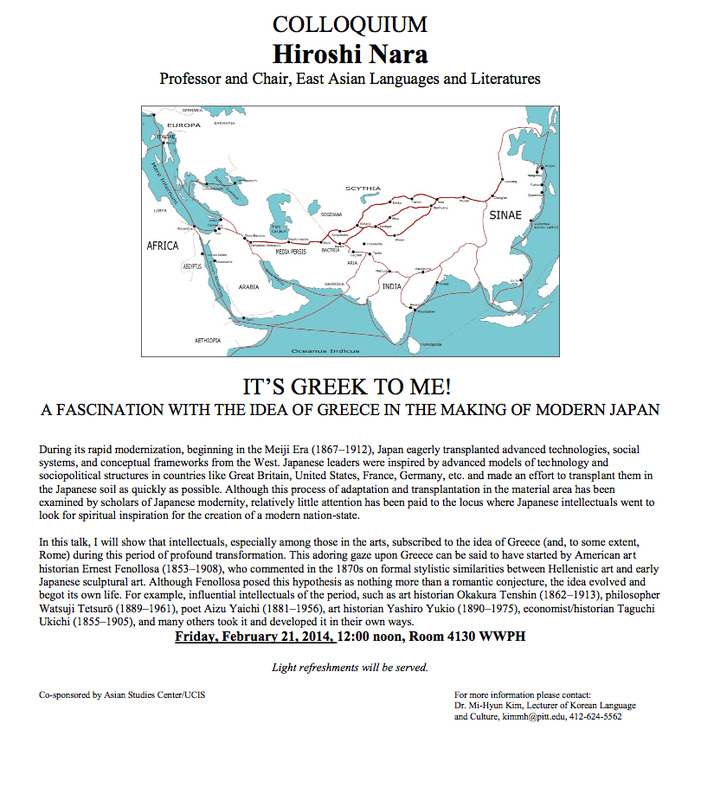 A Fascination with the Idea of Greece in the making of modern Japan" on February 21. It will be held in room 4130 Posvar Hall (map) from 12:00 pm, and is free and open to the public. 2014 Kennywood Asian Day, May 12. Linsanity at CMU, February 22.